Half House: This unique house gets's its name for the unusual manner in which the house appears to be cut in half. Thatch Roof House: Recently remodeled, the house has impressive thatch roof and sweeping arching roof lines. 306 Park Ave.: Earl Young's house has two chimneys that looks like the cement is melting. Boulder Manner: Earl Young began construction of this breathtaking in 1928; however, lost the house during the Great Depression. He did not regain possession of the house until 1937 which he completed construction of the property in the early 1940s. Owl House: The house get's its name from the front side of the house which looks like an owl. 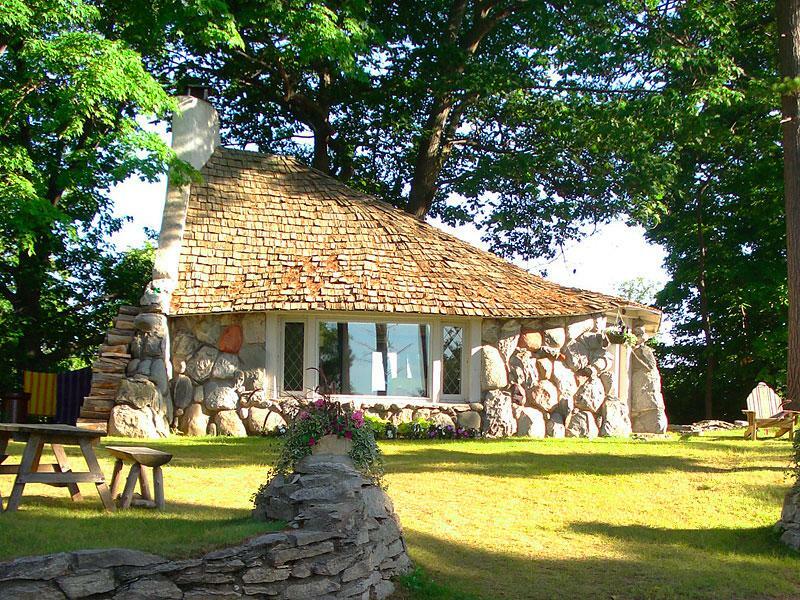 Thank you for visiting https://www.visitcharlevoix.com:443/Earl_Young_Mushroom_Houses! Be sure and revisit visitcharlevoix.com frequently for content updates and more.